Serino Royale cigars are developed from seedling to the roller's table at La Corona Cigars S.A. under the supervision of Cuban cigar master Omar González Alemán, the man previously responsible for the Cuban Montecristo, Por Larranaga, and Romeo y Julieta brands, and it shows. 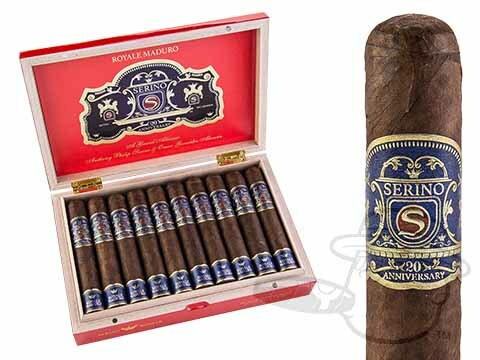 Presenting a range of Cuban-esque premiums with unique character and fantastic consistency, the Serino Royale line is sure to appeal to fans of Padron cigars, Liga Privada, and other outstanding Nicaraguan cigars. Big, bold flavor with the body and balance to back it up - that's what you get with Serino Royale cigars.